Welcome to HealthEngine. We’re here to make healthcare easy for you. 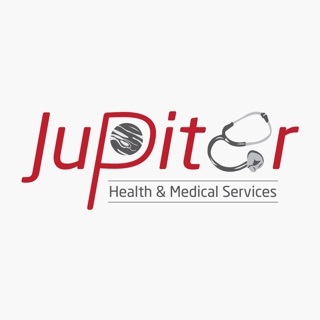 Find trusted health professionals across Australia. Book appointments 24/7, whenever is convenient for you. Manage all your health providers and appointments in one place. General bug fixes and performance improvements. Added native support for account management. I love this app especially that I can book my GP anytime I need too. My husband and I have had our first child and now that she is 16 months old she is starting to mix with other children and with that comes never ending sickness. They seem to pick up every bug that you can think of and as it goes you need a doctor that you can trust at short notice. My husband has also had a life changing injury that has led to many heath related complications. He often is needing medical assistance at short notice and often needs changes in his specialised medications and only dealing with the same doctor is required. He can’t just wait sometimes days to get an appointment like it used to be and it’s extremely difficult for us to go and just wait as a walk in patient. I used to love this app, but now the app clearly doesn't like people. It's a crashy crash app, these days. This app was very handy - not just booking appointments in and out of hours, but adding it to my calendar and the ability to change things around without the painful hold times of my doctors clinic. The medication reminders pushed through to the Apple Watch are pretty cool, too, for someone like me who kept missing the right time to take it. The app's use of up to date features like 3D Touch and Face ID are nice to see. However there are two annoying features : 1) the frequent notifications asking me to review my medication. This app wants to be the Yelp or TripAdvisor of the pharmaceutical world. Every day I get the notification. Every day I hit 'No thanks, I'm OK'. Every day it tries again. And now 2) is that it keeps crashing when opened which in turn has caused my medications and their reminders to be deleted from the app. I add them back and it's says 'No, I want them deleted' and erases everything in another crash. Hey there! Thanks for your thorough feedback and review of our app! We have recently provided an update for the app which includes a fix for both issues you have reported. This is to ensure the app is working cohesively and reliably for our patients. If you are finding the app is still encountering the same errors, please do not hesitate to contact on 1300 377 639 ( Patient line 1 ) or email us at health_concierge@healthengine.com.au.